On Monday, October 8, the Community Center for the Performing Arts and University of Oregon Campus Radio 88.1 FM KWVA proudly welcome Shellac back to the WOW Hall along special guests Buke & Gase. 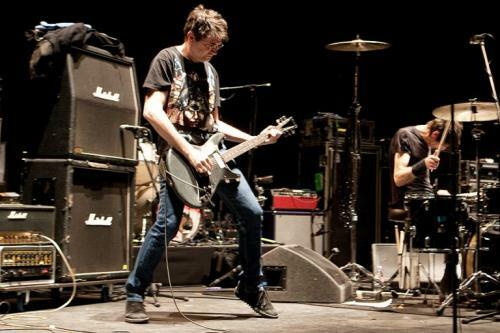 Shellac’s formation was completed when Bob Weston moved to Chicago in 1992 and joined drummer Todd Trainer and guitarist Steve Albini (who had already been playing together). They played their first shows in Chicago in 1993, and their first out of town shows later that year in Australia, Japan and New Zealand. Since then, the band has released 5 LPs and a few 7-inch singles. The most recent LP, Dude Incredible, came out in September of 2014. All of Shellac's recordings are released on Touch and Go Records. The band members all work for a living and the band is their pastime, so they don't tour often or for long. Concerts and touring have no correlation with album releases, but they tour when they have the time and inclination. They love playing music together. The band will continue to release albums and play concerts at the same sporadic pace indefinitely. As new songs are written they get played during their live shows. So, there are always new unreleased songs played on tour. Once enough songs are written, the next album will be recorded. 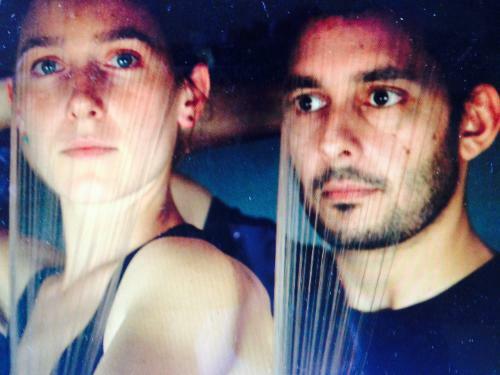 Buke and Gase is a Brooklyn-based musical duo. Band members Arone Dyer and Aron Sanchez are noted for their use of handmade instruments such as the "toe-bourine”, the "buke" (a six-string former-baritone ukulele) and the "gase” (a guitar-bass hybrid). Dyer and Sanchez had formerly been bandmates in the post-punk noise group Hominid. The two started playing together in earnest late 2007, and recorded their first EP "+/-" in 2008. They were signed to Brassland Records after Aaron and Bryce Dessner of The National saw them playing a basement venue. In 2009, Buke & Gase were featured on the NPR science program Radiolab and shortly thereafter, recorded their first full-length album Riposte, for which they toured extensively throughout the U.S. and Europe. In 2012 they released their second EP Function Falls. Their second full-length, General Dome. was released in January 2013. Buke & Gase are celebrating the release of a new album with this tour. Tickets are $14 in advance, $16 day of show. Doors open at 7:30 pm and showtime is 8:00.